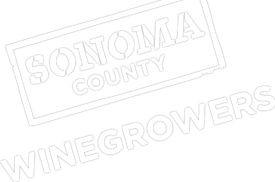 The Sonoma County Winegrape Commission, also known as Sonoma County Winegrowers (SCW), was established in 2006 as a marketing and educational organization dedicated to the promotion and preservation of Sonoma County as one of the world’s premier grape growing regions. SCW has oversight by California Department of Food and Agriculture which supports producer regions. With more than 1,800 growers, SCW’s goal is to increase awareness and recognition of the quality and diversity of Sonoma County’s grapes and wines through dynamic marketing and educational programs targeted to wine consumers around the world. Learn more about Sonoma County Winegrower’s staff.